In fact, "treasure" is the perfect term for PURL, the acronym for a personalized URL (and pronounced like the pearl in the shell of an oyster). A PURL is the perfect way to personalize your marketing outreach, so that each customer is treated uniquely and directly. In addition to personalizing your message, the URL is specific to each client or prospect. For instance, if you own the website www.bestclientservices.com and are looking to find new customers for your business, you could create a special page for a promotion you are running for the coming spring, so that everyone ends up at www.bestclientservices.com/springsale. But that is not very personal for the recipient and it is a long web address to remember and/or type in. A better way would be to have your prospect named Bob Burns receive a personal invitation to go to BobBurns.springoffer.com; this is clearly only for Bob Burns and has a easy-to-remember URL that relates to the event that is being promoted. This is the essence of PURL marketing. Since you are already leveraging your contact data to create personalized URLs, the next step to merge your contact data seamlessly into your other marketing channels like print, mail and email. This way you can creates postcards, letters and emails each with a unique message and a personalized URL for your contacts. 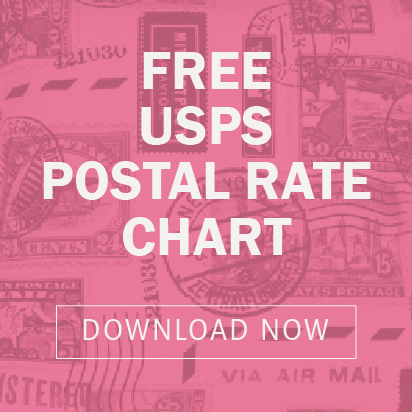 There is great power in receiving a postcard or letter in your mailbox and this is where the direct mailer component comes into play. First, you craft your email message. It is intended to create one simple call to action, which is to type in the link of their Personalized URL so the recipient can get their personal offer. Next, put your printer to work and have them print and mail your direct mailer (postcard, letter + envelope, self-mailer, etc). In a large font, announce to your recipient that there is a special offer just for them which can be read at a URL which includes their name in the URL! That is sure to catch their attention and get them to follow your invitation to their landing page. This method of reaching out to existing customers and potential new clients is the most affordable. There are no printing or postage costs involved, only the effort to design and send the emails. However, in return for its simplicity and economy is the fact that the return for this marketing method is typically quite low. The web landing page is one of the keys to your success. Your landing page must be designed to immediately capture your visitor's attention and to deliver your message as clearly and simply as possible. Experts indicate that your visitor has only 5 seconds to understand your offer. If you cannot keep their eyes on your page in that short time, they are off to the next kitten video or chain letter in their email list. While this may seem like a lot of pressure, spending the extra time to properly create your landing page can mark the difference between success and failure. The power of PURL marketing is incredible. Because you can assign personalized URLs to each client or prospect you are contacting, you can completely micromanage the results of your efforts. Instead of learning that x% of your recipients responded to your efforts and reached your landing page with y% taking action, with a PURL strategy you can learn that at 12:03 PM, Bob Burns went to his special URL and spent 5 minutes before signing up for your special offer. Yes, you can get that kind of detail to find out specifically how well your campaign worked. Connect with a print and mail service provider - many printers have invested in the technology and staff required to execute PURL marketing projects. Inquire with your printer to see if they offer these digital marketing services. They're likely to be a great help with the design, print, mail and email components of your marketing campaign. The Do-It-Yourself approach gives you all the power you need without having to find a business partner. Searching online will turn-up various online vendors who offers a self-service portal for executing PURL-based marketing projects. You'll have to do all of the heavy lifting but you're also likely to achieve the lowest cost. Do you have a PURL or marketing related question about best-practices or next steps? Have you had any success with PURL marketing that you'd like to share? Download our Best Practices for Personalized URLs Whitepaper for great tips on how to increase your next marketing campaign's success.